Ah, glorious beer. We have truly entered into a zymurgistic (area of science related to fermentation and brewing) renaissance. The craft beer has become extremely popular in the last few years. It seems that new, small breweries and brew pubs pop up every couple of months in my home state of Minnesota, and from what I’ve seen elsewhere, this appears to be the case just about everywhere in the US. Even with all these new sources of beer, it appears we have yet to hit the saturation point. Every new brewery seems to open with great interest and anticipation at what new and unique thing they will bring to the brewing community. Of course, not every new brewery is successful, but their chances of success are far greater than they would have been even five years ago. All of this new interest in craft beer has also fostered a lot of interest in how beer is made, and has drawn in a large crowd that is interested in brewing their own beer at home. I, myself, have been homebrewing beer for about four years now, and while my interest in brewing beer waxes and wanes, it has been the one hobby that has really taken hold for me. I am passionate about beer in general, and brewing beer gives me a great creative outlet with so many facets to the hobby that when I become bored with one aspect of the hobby, another aspect easily garners my interest. I’ve been looking for a topic to write about for some time now, and have struggled to find a topic until recently, when I realized, I really do have one subject that I’m passionate about and love to talk about with anyone that will listen. I just hadn’t thought of homebrewing as something to write about because I spend so much time talking about it. The purpose of this website is to help spread the good word about homebrewing, so to speak. I plan to give information on how to brew beer at home, interspersed with information on what I’m doing now with brewing beer. 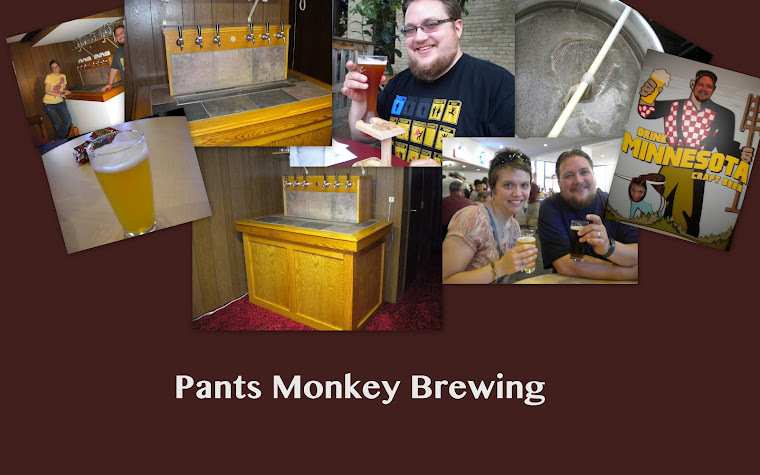 I hope to make this blog a fairly regular thing for me, so I hope I can interest you in brewing beer and get you to check in often to get more information and evolve your brewing while I continue to evolve with you. Cool! I'm glad you are starting this blog!